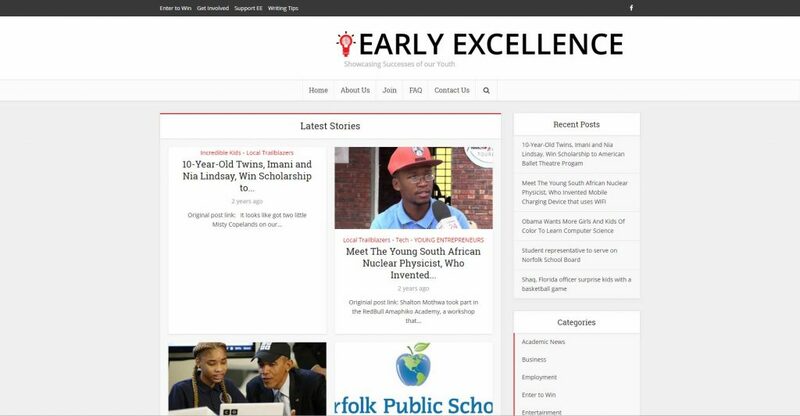 Early Excellence - . ::M I N D W E L L A M E D I A::..::M I N D W E L L A M E D I A::. Created website, facebook page, and business cards for Early Excellence – website devoted entirely to teenage providing real life practical opportunities, and forums.